Holidae House has released a new single, “Wild Eyes Turn Red,” and it’s a strong guitar and electronic work that projects a new-retro sound on a classic background of strong vocals and bass. 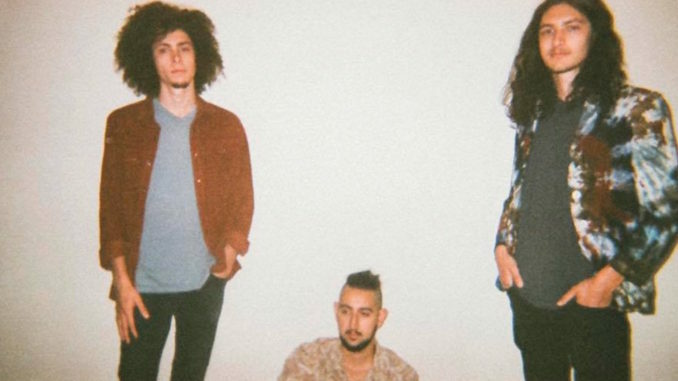 The song is reminicent of an upbeat Tame Impala blended with The Woods and early Fleet Foxes. The band has all the ingredients for success. It’s got the de riguer “fuzzy” factor that all bands today are reenlisting for the appeasement of the cool kids. But it’s also got the mystically haunting vocals harmonizing in minor and minor seventh chords. Of course, today you have to have one high-pitched singer and Holidae House has that in frontman Ryan Logan. Holidae House began with two brothers, Ryan and Grant Logan, and family friend Ryan Alexander on drums. Together they learned to play and write music and recording regularly. After moving to Portland, Oregon from Sacramento, California, the band started to collaborate with producer Eric Lemiere, and recorded their first self-titled EP in 2015. The band’s 3-song EP is enjoyable and we would have like to have heard at least a couple more from Holidae House on this record. The second song on the EP, “Fire And Ember” changes the pace somewhat and is a reflective piece on the past and what may have been. “Always On My Side” is an insightful song that starts off mellow, but explores the outer threshold of emotions and the pain of relationships. The track has very much a big sound like U2 meets Link Wray, and is appealing on several levels, despite the remorseful yet hopeful lyrics. Listen to Wild Eyes Turn Red, the latest single from the band.